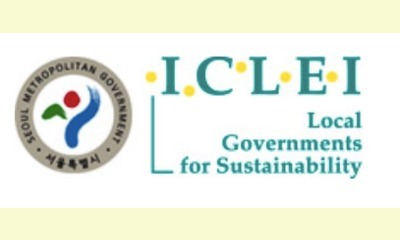 From 8 – 12 April 2015, global leaders, mayors, city officials, and their partners from around the world will convene at the ICLEI World Congress 2015, in Seoul, Republic of Korea. Together, ICLEI World Congress 2015 participants will address the pressing challenges of climate change, and explore how local action can deliver sustainable solutions for the urban future. The triennial ICLEI World Congress is the foremost assembly of local governments, and their partners, committed to sustainable urban development. The ICLEI World Congress 2015 will convene local sustainability leaders in one of the largest metropolitan areas of the world. Challenged by rapid urbanization, air pollution and growing motorization, Seoul Metropolitan Government is among the world’s most ambitious cities to reduce its CO2 emissions, carbon footprint and resource consumption. Strong civic engagement combined with ambitious local leadership guides decision making in Seoul, setting a high standard for many other cities in East Asia and across the globe to follow. Over five days of exchange and networking, the ICLEI World Congress 2015 will provide strong contributions to the global debates on the Urban Sustainable Development Goal, global climate governance, and the increasing roles of local governments in tackling global challenges. The ICLEI World Congress 2015 will strengthen the bridges between local governments and their partners in international organizations, NGOs and business, while empowering urban decision makers with effective, viable solutions for improved local sustainability. . . Some 1,500 expected participants can look forward to a diverse program of high-level plenaries, sub-plenaries, parallel sessions, mobile workshops, and trainings. The five-day program of networking and exchange will focus on delivering tangible city solutions across areas including low-carbon development; resilience and adaptation; biodiversity; water; EcoMobility; green urban economy; smart urban infrastructure, and many more. . .
A highlight of the ICLEI World Congress 2015 Exhibition is the City Poster Exhibition, which offers local governments the opportunity to publicly exhibit their local actions on sizable posters. Local governments will just need to supply information and the ICLEI World Congress 2015 Team will create, print, and display your poster at the Exhibition. For more information, as well as to submit a City Poster, please visit our City Poster page on our website.